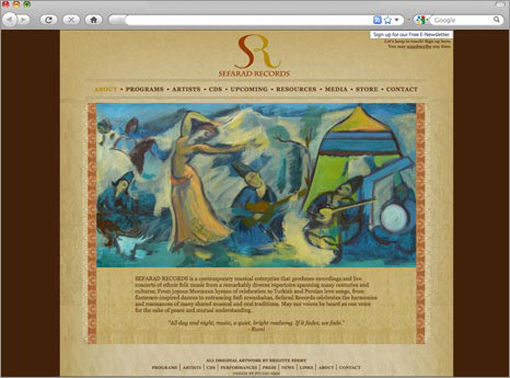 Sefarad Records, featuring the multitalented musician Gerard Edery, is a Sephardic music recording label that needed to refresh their website and branding to promote their genre. Studio K&M created a new logo and website where users can not only learn more about the record label but can also view videos, look at photos, listen to album clips and purchase CDs. Business for the artist and traffic to the site has increased as a result.